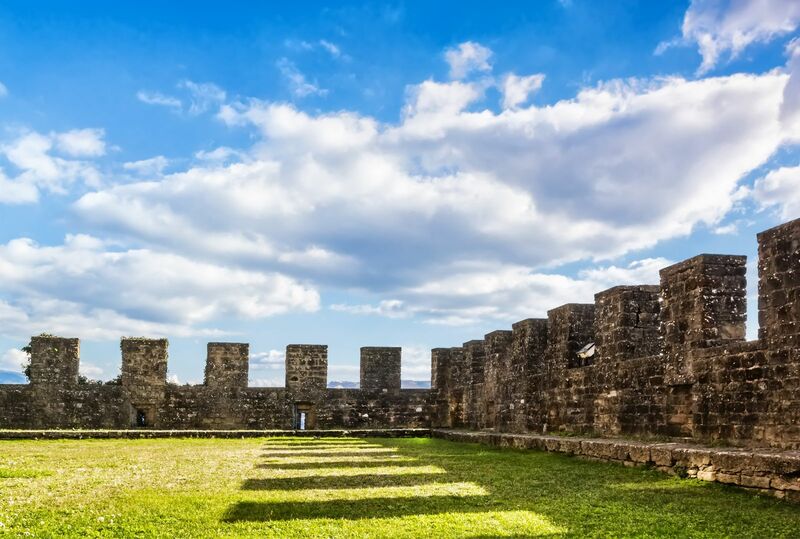 The history behind the town of Poppi belongs to the noble Guidi family and their magnificent Castle: to discover its secrets, you’ll have to dive into the medieval history that gave life to this fortress. The castle, built in the 13th century, is attributed to artists from Vasari to Arnolfo di Cambio. In the courtyard, your eyes will trace intricate staircases and a large collection of family crests, while inside the chapel you’ll find a breathtaking cycle of frescoes by Taddeo Gaddi, one of Giotto’s most important followers. Don’t miss the castle’s spectacular library: the striking collection, a veritable literary treasure, was donated to the Municipality of Poppi by the Rilli-Orsini family. Head over to the Camaldoli Hermitage, a sanctuary submerged in a landscape of centuries-old fir trees. The stunning sanctuary is one of the most important spiritual centers in Tuscany, founded by Saint Romauld around 1012. With its 20 cells, it has always served as a place of solitude and contemplation. The church, dedicated to San Salvatore, has undergone many structural transformations. Now rich with baroque decorations, check out the Sant’Antonio Abate chapel inside the church, which houses a glazed terracotta altarpiece by Andrea della Robbia. Facing the church is Saint Romauld’s cell, the only one open to visitors. A few kilometers down in the valley you can see the architectural complex of the monastery, guest quarters and the Church of Santi Donato e Ilariano, whose baroque interior boasts some of Giorgio Vasari’s earliest works. The ancient medieval village of Poppi is one of the best-preserved examples of “walled city”, surmounted by the majestic castle of the Guidi Counts: also in excellent condition even today.